Midsummer talismans are made at this time of year. These are kept inside the home for the entire year that follows. At the next Midsummer solstice, these talismans are thrown into the holiday bonfire and replaced with new ones for the coming year. Talismans are made of plants that thrive at this time of year. In many ancient pagan traditions (still followed by many modern neo-Pagans), this consisted of a sack filled with the plants or a garland woven from them and often worn in the hair. In all traditions, the talismans consist of nine specific plants. While the composition of these plants is widely variant, the number nine is fairly universal., since in most pagan traditions (as well as in Wicca and many modern neo-Pagan traditions), the number nine represents change and growth (and Midsummer is the apex of the influence of the sun, the ultimate generator of growth). 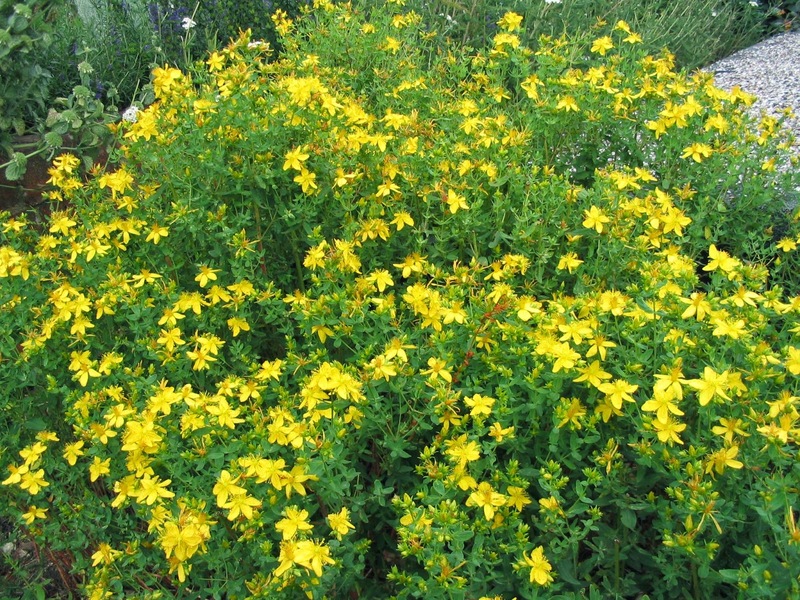 Of these, St. John’s Wort (Hyericum perforatum) merits particular attention, since its use was so important at this time of year that its common name is actually taken from the Christianized version of the holiday (St. Johnsmas). Traditions vary regarding the other four. In Ireland, Great Britain, Bretagne and Spanish Galicia, two of the remaining plants were oak leaves (the holiday represents the end of the reign of the Oak King, ruler of the waxing year in Celtic tradition) and honeysuckle (symbolizing the beginning of the reign of the Holly King, ruler of the waning year in Celtic tradition). Midsummer Night’s Eve, because it represents the highpoint of the masculine force, also is associated with fertility and suitors pursuing eligible women. In some traditions, notably those of Finland, this involves the finding of the “fern in bloom” — a mythical plant, since ferns do not bloom. Still, placing ferns on charmed flowers in gifts or on the bed of a desired lover is still held to have power in folk traditions.